There are many ways to lose weight, and following the ketogenic diet is one of them. In fact, keto is one of the most effective ways to lose weight rapidly and keep the fat off for good. This doesn’t mean, that a high-fat, low-carb diet is ideal for everyone that is aiming for weight loss. Some people may fare better with other dietary choices that fit more snuggly into their current lifestyles. Either way, it is possible for you to lose weight and keep it off. In this article, we will look at the research to find the most effective weight loss methods so that you can finally find something that works for you. But first, let’s get a better grasp on the issue of obesity and its potential causes. More than 2 in 3 adults are considered to be overweight or have obesity in the United States. In other words, being overweight or obese is the new normal for Americans. Unfortunately, carrying more than a few extra pounds is an epidemic throughout the world as well. Since 1975, the prevalence of obesity in the global population has tripled. Now, more than 1.9 billion adults aged 18 years and older are overweight. Of these adults, over 650 million are obese. Each one of these people carries an increased risk of cardiovascular disease, musculoskeletal disorders (e.g., arthritis and low back pain), cancer, type 2 diabetes, and depression. What’s even more frightening is that as the weight continues to increase so does the risk for these noncommunicable diseases. And yet, despite how obvious it is that being obese is unhealthy, obesity rates are still climbing. Simply telling people to eat less and move more isn’t enough — one of the primary causes of this issue runs much deeper than self-control. Just like most health issues, many different factors contribute to obesity. The factors most responsible for the obesity epidemic seem to be our genetics and the environment, and how they interact to create our eating behavior. To gain a deeper understanding of how they contribute to obesity, let’s explore the organ responsible for our eating decisions — the brain. The brain was built over millions of years of genetic evolution. The evolution of the brain (and its deeply ingrained behavioral patterns) depended on its ability to adapt to an environment that shared almost nothing in common with where we spend most of our time today. The first humans didn’t have Walmart, grocery stores, and restaurants around every corner — they had wild plants to forage and animals to hunt that may or may not be there the next day. To adapt to this uncertain food environment, humans and all other animals developed a highly motivating and rewarding relationship with food. As a result, humans and most other animals tend to eat much more than necessary in an attempt to store extra calories and other nutrients away for times when food is scarce. To put it more simply, we are wired to eat as much as possible when food is available. More specifically, we are wired to seek out foods that contain different combinations of fat, carbs, protein, and salt. More food variety means more nutrients and better survival. Given the choice of a fat and protein source like meat or a salt and carb rich food like potato chips, we are designed say yes to both. No matter how stuffed we are, the most primal parts of our brain will typically tell us that there is room for more if a novel food source is available. These behaviors were essential for our survival as a species. If we ate reasonably whenever food was available, then we wouldn’t have enough fat or muscle to fuel us when calories were scarce. Unfortunately, our current food environment is nothing like what the human race initially evolved to handle. Today, we are constantly bombarded with endless processed food options, food ads, and smells that trigger our desires. As a result, the oldest parts of our brain motivate us to hunt for that food, which we now have a 100% chance of getting — and we don’t have to exert much effort at all to get it. We will then act out our ancestral programming by eating the most calorie dense foods (i.e., pizza, french fries, cookies, cakes, etc.) and eating much more of those foods then what our body needs to energize itself until the next meal. This results in a vicious cycle of overeating and weight gain with the subconscious intention to prepare us for famine — famine that never comes. When we consider our genetics and the current food environment together, a fascinating story reveals itself. The human species evolved from millions of years of genes that were trying to survive an environment that they didn’t create. As a result, humans evolved the ability to create their own environment that allows them to fulfill their needs at any given moment with minimal effort. The irony in all of this is that the very genes that provided us with this astounding ability to create our own food environment have not been given enough time to adapt to the abundance that the majority of the human species created for themselves. The result? A profound mismatch between the human and its environment that causes it to eat so much and move so little that humanity accelerates its own extinction. For a more specific example, take another look at how many people are obese or overweight in the United States — a country with one of the most convenient food environments. The solution? One way of approaching this issue is through dieting. To adapt to such an abundant food environment, you need to give your brain new food rules to follow (e.g, a diet). Your brain needs you to tell it what to eat and what not to eat to meet your health goals. One of the best ways to do this is by finding a diet with simple rules that you can follow for the rest of your life. Health is so complex that there is no “best diet for weight loss.” Every person requires unique dietary and lifestyle changes so that they can lose weight and keep it off for the rest of their life. What we do know for certain is that calories matter. (The human body cannot escape the laws of thermodynamics.) If you eat more than your body needs to maintain itself, then you will gain weight. Conversely, if you eat less than your body needs, then you will lose weight. It’s a simple concept, but it comes with a ton of nuances. Your daily caloric needs are not set in stone — they vary slightly from day to day. Because of the unpredictable nature of our calorie requirements, many scientists have posited that they don’t matter as much as other things like hormones. The carbohydrate-insulin hypothesis, for example, proposes that the primary cause of the obesity epidemic is insulin stimulating foods like sugar and starches. The logic behind this hypothesis is based on one of the many actions of insulin. When carbs are consumed, insulin is released by the pancreas. Once insulin interacts with fat cells, it prevents fat from being burned as fuel and triggers fat storage. Because of this phenomenon, the supporters of the carbohydrate-insulin hypothesis tend to believe that all you need to do to lose fat is restrict carbs. However, this is a reductionistic view of obesity that doesn’t account for the complex nature of the human body. The truth is that there are multiple mechanisms for fat storage in the body that depend on calorie intake, not insulin. Insulin has also been shown to play a role in regulating our metabolic rate, which increases our caloric output to a minimal degree. Calorie intake makes the biggest impact on whether you gain or lose weight. Other factors like exercise and insulin also matter, but to a much smaller degree. The current literature argues between calories and carbohydrates. Below, we discuss it further. Calories or Carbs? What Matters Most? Instead of focusing on switching out carbs for fat or vice versa, we should focus on sticking to a diet that naturally decreases our calorie intake. Eating a diet that consists of protein-dense and fiber-rich foods because of how satiating they are. Eliminating all calorically-dense processed foods from your diet because of how easy it is to binge on them. 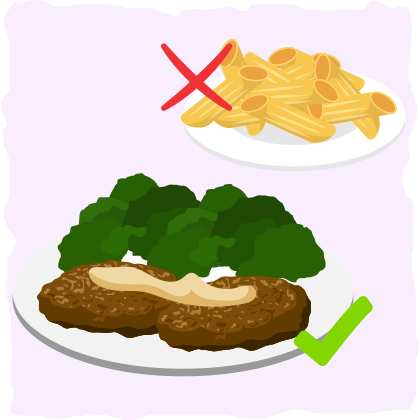 One of the diets that implement these principles is the low-carb ketogenic diet. It primarily consists of highly-satiating foods like meat and low-carb vegetables while cutting out all carb-ridden, highly-palatable foods. By eating in this way, most people experience tremendous amounts of fat loss — not because it lowers insulin levels, but because keto dieters tend to eat significantly fewer calories than high-carb dieters without realizing it. Low-fat or Keto? Which Is Better for Weight Loss in Real World Scenarios? The 2017 meta-analysis by Drs. Kevin Hall and Juen Guo provide us with very convincing data, but we must also consider the fact that the data came from studies where all the food was provided by the scientists. Although this is a great way to assess the difference between low-carb and high-carb diet, this does not simulate the real-world effectiveness of each diet. For this reason, we must investigate data from less strict studies. In other words, we need to look at what happened when subjects were told to follow a specific diet on their own. When examining the results, the researchers found that the participants in the ketogenic diet groups lost an average of 2 more pounds than the low-fat diet groups. The researchers also noted greater improvements in triglycerides, blood pressure, and HDL cholesterol in the ketogenic diet groups. These findings fall in line with another meta-analysis on 13 randomized controlled trials that compared low-fat and low-carbohydrate diets. The researchers found that, after six months, subjects who consumed less than 60 grams of carbohydrates per day had an average weight loss that was 8.8 pounds greater than the subjects on low-fat diets. At one year, the difference had fallen to 2.3 lb (which is consistent with what was found in the meta-analysis conducted by the Brazilian researchers). These two meta-analyses (and the other research you’ll find in this article on keto & weight loss) provide us with a look at the real world significance of low-fat and low-carb diets. When you put people on a low-carb ketogenic type diet, they tend to lose more weight than people who are on a low-fat diet. The ketogenic diet also provides us with clear rules to follow, which makes it is easier for us to keep ourselves from overeating. To put it another way, the ketogenic diet is one of the best ways to “hack” our brain and food environment so that we naturally eat fewer calories and lose weight. What is even more interesting is that this isn’t the only reason why many people find weight loss success with keto. By restricting carbs, we also unlock the weight loss boosting benefits of ketones. When carbohydrates are restricted for a couple of days, the body will start to produce ketones. This alternative fuel source comes with many benefits for the brain and nervous system, while it simultaneously promotes weight loss. Once the body enters ketosis and starts to burn ketones for fuel, most ketogenic dieters will experience increased energy levels and decreased appetite. This leads to the consumption of fewer calories, resulting in more weight loss. Another reason why ketosis and weight loss are linked is that ketones have a mild diuretic effect. This is important to know because many people will mistake their rapid weight loss on keto as if it is all coming from fat. In reality, the rapid weight loss that occurs in the first week of the ketogenic diet is mostly due to water loss. Typically, during the first week of the keto diet, people see a very quick drop in weight — anywhere from 2 to 10 pounds. This is unrivaled by any other diet, but it is also not all coming from fat. In fact, most of this weight loss is the result of the body shedding the extra water weight it was holding on to as a consequence of carbohydrate consumption. This can cause flu-like symptoms, which is why it is essential to drink plenty of water and follow the suggestions that you’ll find in our guide to the keto flu. After a week or two of keto dieting, weight loss will happen at a slower and more steady pace. This is also the period of time when the body becomes keto-adapted as it switches from burning carbs to burning fat. How Fast Will You Lose Weight with Keto? Once you’ve made it through the first week of keto and you are in ketosis, fat will steadily fall off your body (as long as you are in a calorie deficit). 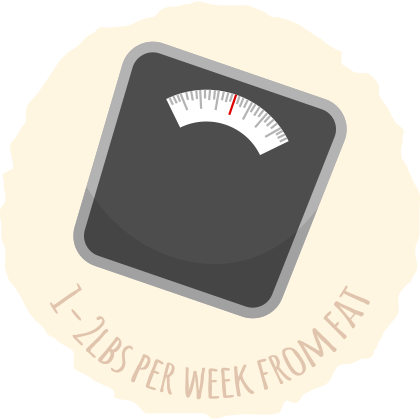 The average weight loss at this point is around 1-2 pounds per week — the majority of it coming from fat. As you get closer to your goal weight and your overall body weight decreases, weight loss will slow down. This happens because as your weight decreases so will your daily caloric needs. For this reason, you may want to recalculate your calorie needs every month or so. Keep in mind that weight loss may not be consistent either. You might have some weeks where it seems you haven’t lost anything — then you’ll weigh yourself a week or two later and be down 3-4 pounds. Your calorie deficit. The one factor that leads to the most significant and consistent weight loss is a calorie deficit. In other words, when we consume fewer calories than we need to maintain our weight, we will lose weight. This means that your weight loss rate will usually increase as your total calorie consumption decreases. However, there are limits to how far you should take you should take your deficit. The human body is designed to prevent massive amounts of weight loss during times of starvation via mechanisms that make long-term fat loss much harder to achieve and maintain. Because of this, it is never a good idea to starve yourself for extended periods of time. Research indicates that calorie deficits above 30% are enough to stimulate some of these counterproductive mechanisms for long-term fat loss. Your current health status. Your overall health plays a major role in how fast you will lose weight and adapt to a lower carb diet. If you have any hormonal or metabolic issues, weight loss might be slower or a bit more challenging than expected. Insulin resistance, excess visceral fat, and thyroid issues, for example, can all have a significant impact on your weight loss rate. Your body composition. Do you have a lot of fat to lose? How much muscle do you have? The people who have the most to lose will tend to shred the fat at a much faster rate than those who have a few extra pounds to burn off. This phenomenon is mostly explained by the fact that obese individuals can easily maintain a much larger calorie deficit, which will result in faster weight loss. Muscle mass also plays a vital role in weight loss because it helps keep your metabolic rate from dropping significantly as you lose weight. This can help stabilize your weight loss rate and may even prevent a dreaded weight loss plateau. Your daily habits. Your daily habits will make or break your weight loss efforts. Consistency is the key to keto success. Are you eating clean keto foods or high-fat junk foods with low-quality ingredients? Are you watching out for hidden carbs? Are you exercising? Eating the right foods in the right amounts for your goals and adding more physical activity to your daily life are the most important pieces of a smooth and successful body transformation. When we take a step back and look at the bigger picture of our fat loss rate, predictable patterns began to emerge. For example, the people who typically see the slowest weight loss are those who are sedentary and overweight with poor metabolic health and eating habits that don’t exercise or keep track of their carb and/or calorie consumption. Conversely, those who start with more muscle and decent metabolic health that are disciplined enough to stick to their diet plan, maintain a calorie deficit, and increase their physical activity levels will typically lose weight more quickly and get the results they want. In general, everyone’s health and lifestyle is different, which means the weight loss rate for each person is going to be different too. We do, however, share one thing in common: each one of us can optimize our body composition with our diets. How Much Weight Loss Will You Get from Following the Keto Diet? With a well-formulated keto diet, you can technically drop as much fat as you want. Yes, you read that correctly – you have the potential to sculpt your body into incredible shape with keto. However, most of us will not reach our body composition goals by simple restricting carbs and being in ketosis. From a dietary perspective, getting the results that you desire will take discipline, consistency, and a well-formulated, healthy dietary approach. The discipline and consistency are up to you; our job is to provide you with the information that will help you reach your goals with the keto diet. Get most of your calories from micronutrient dense foods. For more detailed information on what to eat, check out our guide to micronutrients and our keto food list. For more information on how to create a keto diet that is healthy and effective for you, we recommend checking out our recent article on the topic. However, even if you follow every suggestion and strategy flawlessly, you may end up stalling at the same weight for a few weeks. In this case, you may need to make some minor adjustments to your diet to get back on track. Plateaus are an inevitable part of every diet. Eventually, you will get to a point where you are eating what your body needs to maintain its weight. This can happen months to years after you start the keto diet. Track your calories. If you are not already doing so, track your calories using an app like MyFitnessPal or Cronometer. This simple habit will take your results to the next level because you’ll have an objective way of knowing if you are eating the right amount of carbs, fat, protein, and calories every day. Recalculate your macronutrient targets. When you hit a plateau or simply want to boost your fat loss, plug your updated information into the keto calculator. This will allow you to maintain a calorie deficit even after your calorie needs have dropped. Experiment with fat fasting. If you are still struggling, try implementing a technique called the fat fast. It normally consists of a three-day window of low caloric intake and high amounts of fat to kickstart fat burning and increase fat loss. If you’re interested, I went into more detail on fat fasting in another post. Stick to the ketogenic diet (no cheating). Going from keto to high-carb will cause you to gain weight rapidly. Even just one cheat day can cause you to gain 4 to 6 pounds of water weight. If you have a sugar craving, indulge in a keto-friendly dessert instead of a sugar-filled snack. Check for hidden carb sources. You may be eating more carbs than you think. Make sure you aren’t getting too many carbs from sneaky sources like vegetables, peanut butter, processed meats, and over-the-counter medications. Decrease your stress levels. The most common ways that people stress their bodies on a diet is by eating too little and exercising too much. Studies have found that exercising for more than an hour a day can drop our metabolic rate by 15%, and maintaining a caloric deficit of 25% can decrease our metabolic rate by 6%. In other words, don’t overdo it — you will slow your metabolism down and cause your own weight loss plateau. Eat the right amount of protein. Too much protein can increase insulin levels and decrease ketone levels, while not consuming enough protein can cause you to burn muscle rather than fat. If you exercise, protein levels should be hovering around 0.8g – 1.0g protein per lean pound of body mass a day. This helps with muscle mass retention and growth. However, if you are not exercising – your protein intake doesn’t need to be as high. A protein intake of 0.6g – 0.8g of protein per lean pound of body mass is going to be fine for sedentary individuals. Lift weights. By lifting weights, you will build muscle mass and modestly increase your metabolic rate and fat loss. One of the best ways to increase muscle mass is by doing bodybuilding type workouts. For an overview of how to gain muscle on keto, check out our guide to keto bodybuilding. Supplement with MCTs. MCTs or medium chain triglycerides are a special type of saturated fat that can be taken up into the liver and converted into ketones. Studies have found that MCTs increase satiety and reduce food intake while enhancing cognitive performance and energy levels. This makes MCTs a perfect weight loss supplement for keto dieters. Consume more beef and high-fat dairy. These keto foods contain high amounts of a fatty acid called Conjugated Linoleic Acid (CLA). CLA has been found to improve fat loss by a variety of different mechanisms. To get as much CLA as possible, source your dairy and beef from 100% grass-fed cows. CLA content is 300-500% higher in beef and dairy from grass-fed cows, compared to grain-fed cows. Looking for more specific info on how to bust through weight loss plateaus on the ketogenic diet? Follow this link to learn more. The most important macronutrient for preserving and building lean muscle is protein. Carbs help preserve muscle mass to some extent, but protein is — without a doubt — the most important macronutrient that you must eat enough if you don’t want to lose muscle. 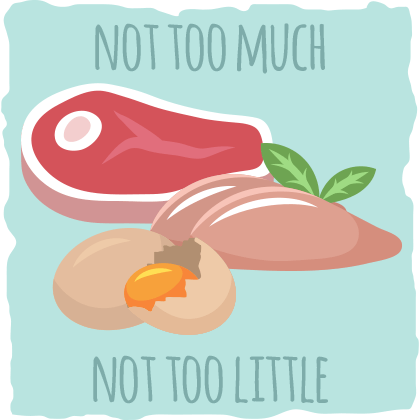 Protein consumption is especially crucial on the ketogenic diet. Without dietary carbs to provoke an anabolic (muscle building) response, you will tend to lose muscle more rapidly without adequate protein intake on keto. With that being said, research has also found that ketones have a muscle preserving effect. Because of this, it is reasonable to suggest that you should eat just enough protein to maintain muscle mass without eating so much protein that you decrease your ketone levels. If you exercise, protein levels should be hovering around 0.8g – 1.0g protein per lean pound of body mass a day. If you are sedentary, then your protein intake should be between 0.6g – 0.8g per lean pound of body mass. The higher the caloric deficit, the closer your protein intake should be to the higher end of the range. Keep in mind, however, that consuming too much protein at any given meal can decrease your levels of ketosis. To mitigate this effect, you can divide your protein intake into equal amounts throughout your meals. If you workout, then consider consuming more protein after and/or before your workouts because this protein is less likely to spike insulin levels and reduce ketone levels. However, even if you follow all the recommendations in this article, you still won’t know for certain if you are actually losing fat. To get a more accurate measure of your fat loss, it is essential to estimate and track your body fat percentage. There are many methods you can use to evaluate your fat loss, but the two simplest ways are by visually estimating your body fat percentage and by plugging your waist circumference, height, and weight into a body fat calculator. To learn more about how to visually estimate your body fat percentage, follow this link to our article on the topic. Wrap the tape measure around your waist at the level of your belly button. Exhale all your air and secure the tape without stretching it. Read the measurement, write it down, and calculate your percentage of body fat by plugging it into this body fat calculator. Remeasure every 2 to 4 weeks to track your progress. Although this isn’t particularly accurate, it will provide you with a reasonable estimate of your body fat % that you can track while you are dieting. You can also look at your body fat % estimate along with your weight and waist circumference to determine if the weight you lost is fat or water. Waist circumference, for example, tends to decrease as fat mass decreases, providing you with an indicator that you lost fat. If your goal is to gain muscle mass and lose fat, then the numbers on the scale should either increase or stay the same as the numbers on the measuring tape and your body fat % calculation decrease. The bulk of research suggests that the ketogenic diet is more effective than conventional diets in helping you lose weight and shed body fat. One of the reasons why the ketogenic diet provides such reliable weight loss results is because it consists primarily of highly-satiating whole foods like meat, high-fat dairy, and low-carb vegetables while removing all carb-rich, sugar-laden processed foods from the diet. By eating in this way, you will feel full while eating fewer calories and losing weight. The most important part of the ketogenic diet is consistency. Approach this diet (or any other diet that you try) with the mindset that you will make it into a long-term sustainable lifestyle. When you hit a plateau, don’t give up — we all hit plateaus eventually. Take it as an opportunity to recalculate your calorie needs, adjust your goals, and implement new strategies. By following the ketogenic diet and implementing some of these suggestions, you can achieve incredible results. If you’d like to get started on your keto weight loss journey, read through our beginner’s guide to the ketogenic diet. If you have any question or concerns, introduce yourself to our Ketogenic Living Facebook Group and the keto community will help you out.